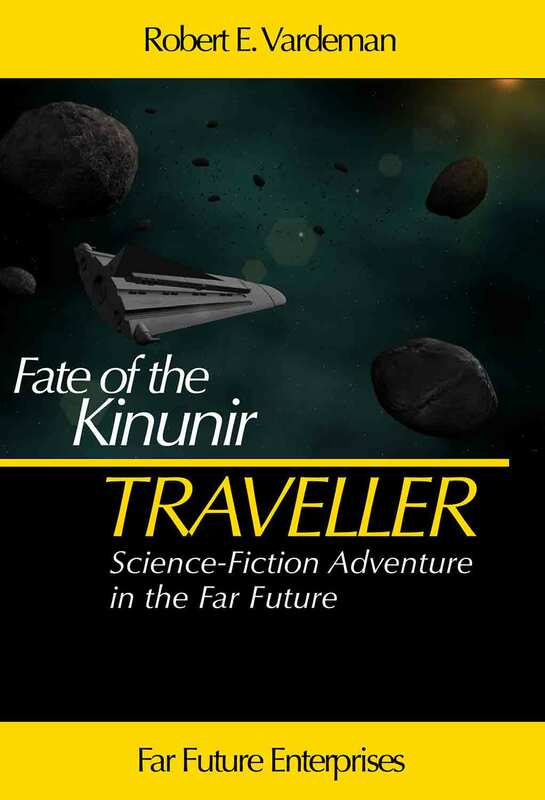 Posted by bobv451 in business, e-books, fantasy, sci-fi, science fiction, sense of wonder, space, writing. Worlds don’t need to be created when writing stories in well-developed properties like Magic: The Gathering, MechWarrior and other RPGs since the history for such is already extensive. The trick becomes fitting a new story into an established world. With Magic, the cards call the stories. I did a short story, “Festival of Sorrow,” for the anthology Distant Planes. The idea was to develop a story with characters that fit into the universe that, excuse the pun, played on the card. At the time I played Magic and loved the look of the Festival card. The story built around not a celebration but a warrior’s need for revenge–only to have the revenge stolen away by his foe’s untimely death. All this made for a story I still like a lot. I also did a Magic novel, Dark Legacy,and this was more open-ended. Fantasy, exploration and the main character wondering why she lacked the charisma of a lesser rover. It turned out to be as much a story of fame and what this means as it did derring-do. One of the more curious things that somehow happens and is beyond my explaining came to the fore with a MechWarrior book, Ruins of Power. Nothing went right with it, I put in 20 hour days to meet the deadline because of constant changes, and one day out the editor wanted a different ending. On schedule, I delivered a book well over the 90,000 words contacted–and got it edited down for length through such things as losing my dedication and buildup material. Still, the book wasn’t bad and fit into the BattleTech universe. However, it is my worst reviewed book on Amazon and, strangely, one of my best selling. This comes down to fame or fortune. I suppose fortune wins out since that pays the bills. Finding the right characters that fit into an established universe makes these books sing and dance. I’ve done stories for Warhammer, Pathfinder, Vor: The Maelstrom and Crimson Skies and the trick is, as in any story, putting the character into a dangerous position. The difference is doing it in context with a wide and detailed background established by not only the game developers but the fans. It can be tricky. It is also a lot of fun. Here is the most recent of such travels into an RPG/gaming universe. Posted by bobv451 in business, e-books, End of the World, fantasy, movies, New Mexico, sci-fi, science fiction, VIPub, writing. Tie-in work comes in a lot of varieties and most readers don’t appreciate the problems inherent. This is why the International Association of Media Tie-in Writers was formed. Too many readers dismiss such work as hack work. Might be, but expectations enter in that aren’t brought to other sub-genres. If the reader hates the original game/movie/comic/tv show, then any novelization is going to be awful. Similarly, if the reader loves the original source so much it is part of his life, his very soul, it’s doubtful any novelization will live up to those lofty expectations (those intensely *personal* expectations). The challenges of adapting a work can be daunting, especially moving from a movie to a novel. In the next few weeks I’ll go over the tie-in work I’ve done for video games, card-based games, series tie-ins and some other stuff. This time I want to hit the movie tie-in I did for Scott Phillips’ The Stink of Flesh. This had some extra thrill for me since I was in the movie (even if my son gets better billing ) so could enjoy killing myself off all over again in the novelization. I had a copy of the script but had to remember from the time spent on the set what everything around me looked like. Playing the VHS copy I had, stopping it and making notes, helped, too, but with tape this is a tedious process. When I had my notes for every scene, I looked them over and saw this wasn’t a full-fledged book. In a movie characters can, well, act. A major character never says a word. They show emotions without words. Things happen in the background that aren’t explicitly mentioned in the movie There has to be extra material in a book to communicate this. More than this, a script comes up short in terms of page count in a novel. I put in extra scenes to bridge ones in the movie and introduced new characters that fit into the strange world Scott had built so well in the movie. The “Vegetable Man” scene in the book is an example. We know what the zombies want. How do the regular, still-human people live? The movie is on its way to becoming a cult classic. A 30-copy limited edition is just now for sale. As Joe Bob Briggs would say, check it out. Also the novelization. Posted by bobv451 in business, death, ideas, sci-fi, science, science fiction, sense of wonder, serial fiction, writing. Q: What goes hi ho, Silver, Silver, Silver? My dreams tend to be pretty worthless for thinking up plots or characters. A while back when I had trouble sleeping, I tried melatonin. This worked wonderfully well getting me to sleep but it gave me the most vivid–and boring–dreams ever. The vibrant colors came through unmatched by any other dream, but the sequence itself tended to be unthrilling, boring stuff like waiting in line at the supermarket. That was it. Just standing in line. Recently I had a bout of dreams about clones. Who knows why? Something about the dream theme set my conscious brain to thinking in terms of sf stories (none of this was in the dream itself–that all came later). The variants on Heinlein’s “All You Zombies” are obvious but the moral considerations (and legal ramifications) are what boiled up in my head. Cloning certainly eliminates the need for estate planning. Just will your clone your fortune. Skip a few hundred years into the future. Would all the wealth be consolidated in the hands of a few clones?